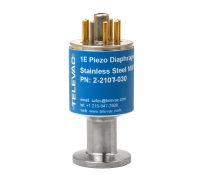 The Televac Piezo Diaphragm Sensor measures absolute pressures by determining the deflection of a diaphragm and measuring the formation of a strain gauge attached to the diaphragm. The response of the sensor does not depend on the gas type. 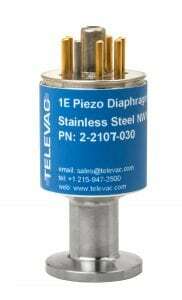 The 1E and 1F piezo diaphragm sensors provide a wide range, fast response, and extremely stable measurement.